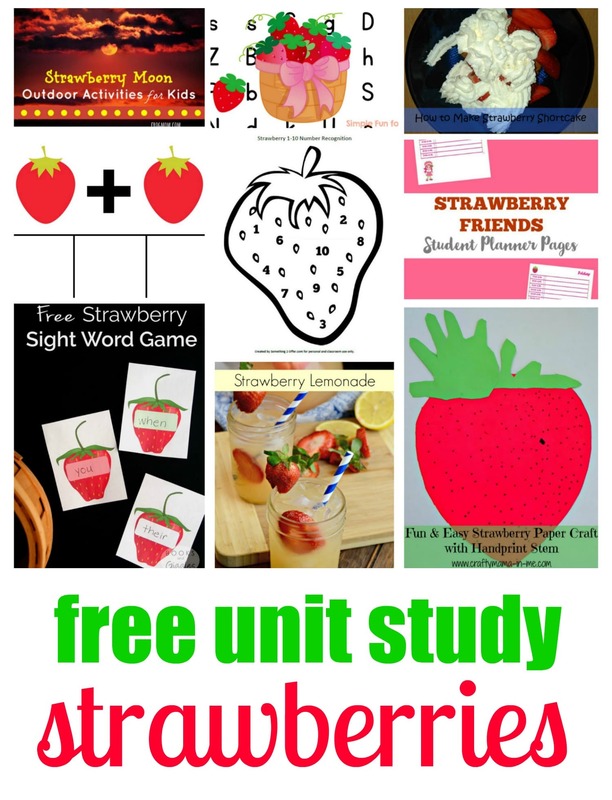 When it comes to thematic units, why not learn with strawberries? Strawberry season is one of my favorite times of the year. I associated strawberry season as starting with Mother’s Day. When I was a child, my mother would almost always serve strawberry shortcake for Mother’s Day weekend, which I looked forward to all year long. 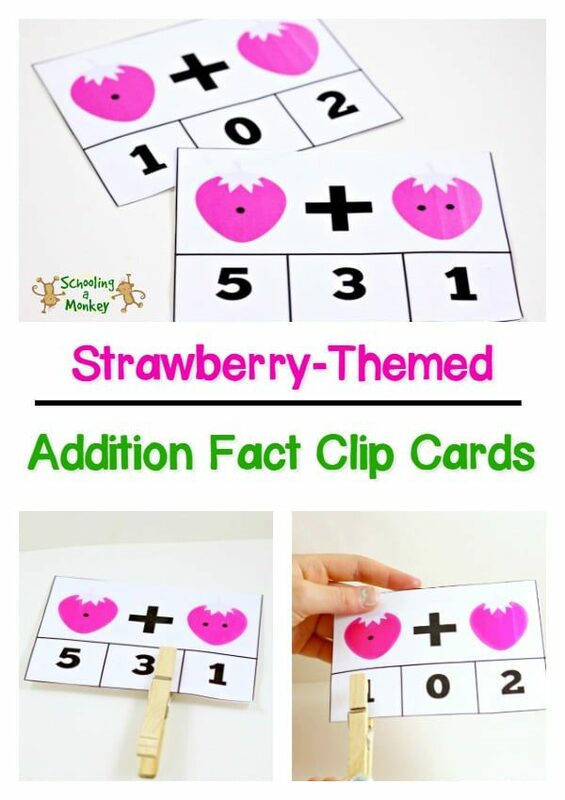 We don’t eat as much strawberry shortcake at our house, but we can embrace strawberry season in other ways, like with these strawberry math addition fact clip cards. 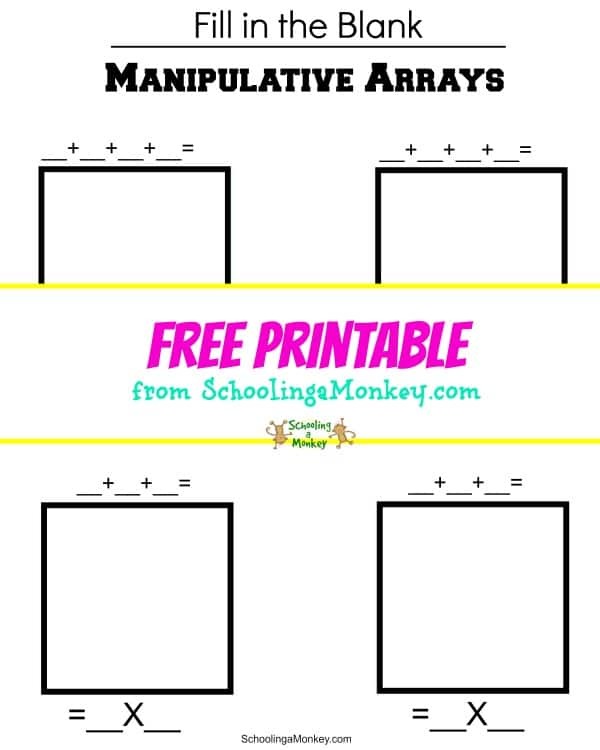 Print the clip cards onto cardstock paper to ensure they hold up to rough handling. 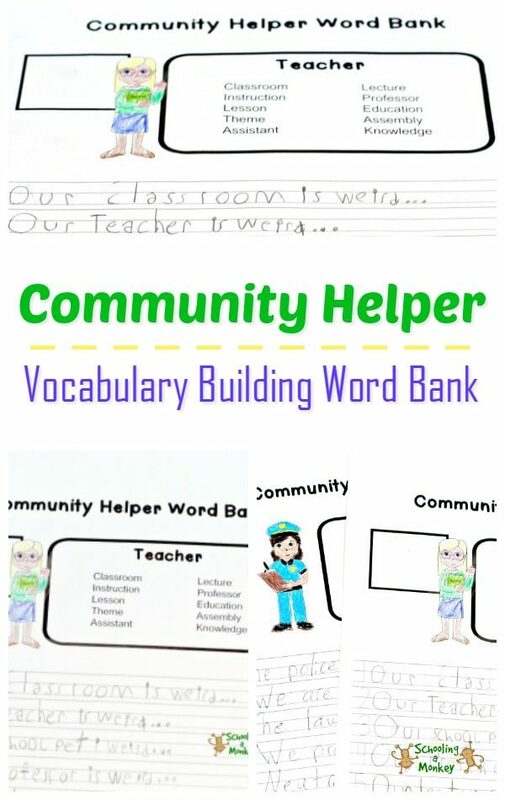 For further protection, laminate the cards so you can continue to use them over and over. 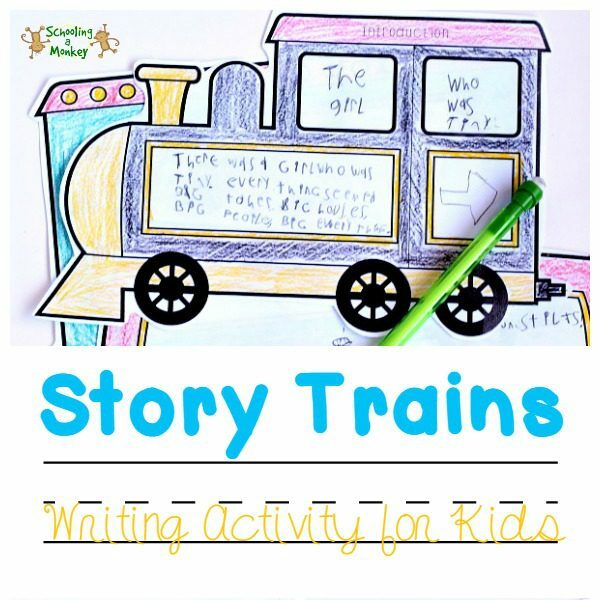 Cut each clip card out and give them to your preschooler. 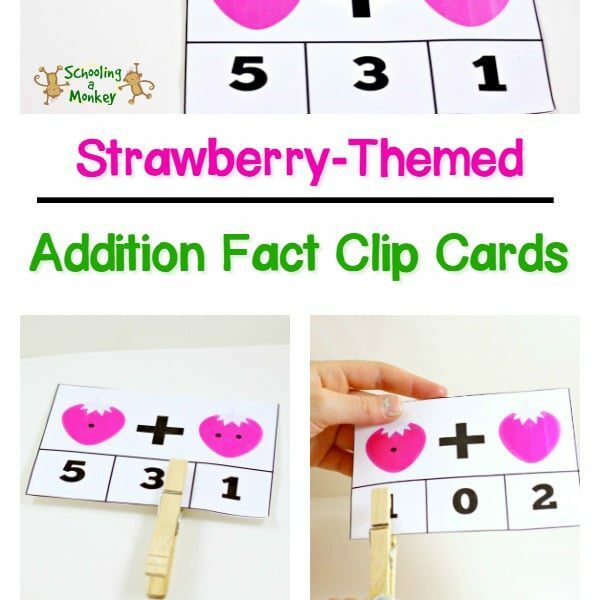 Have your preschooler count the strawberries then clip the clothespin onto the correct answer below the math problem. 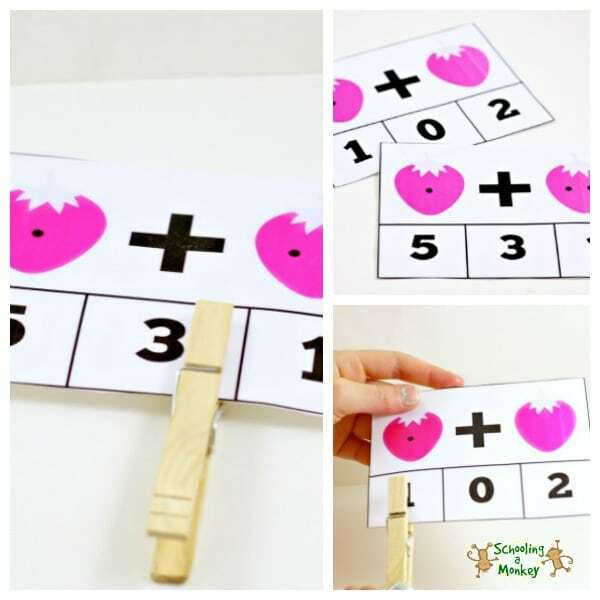 My preschooler loved clipping the clothespin, although she had a bit of trouble at first. Soon, however, she was busy clipping and counting away for quite some time. She loved the bright strawberries. 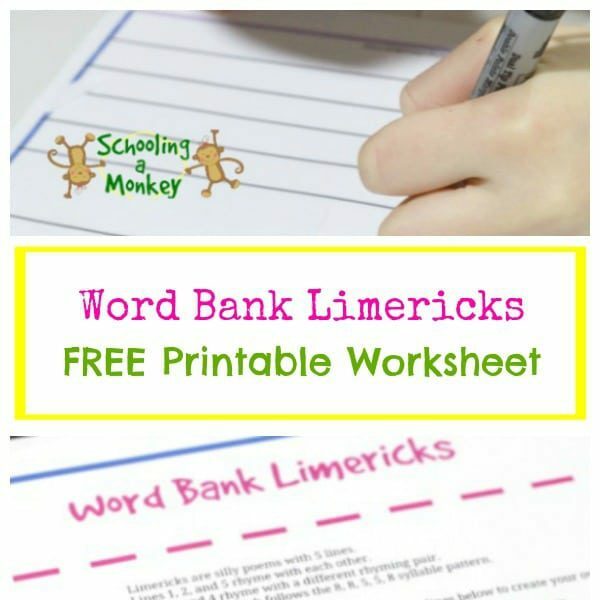 Note: Our printer was nearly out of ink when we did this activity, which is why our strawberries look pink. If you have the right ink, the strawberries will come out bright red. 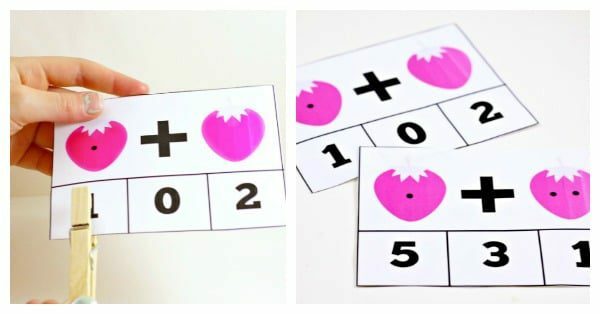 Click to download the strawberry math clip cards!